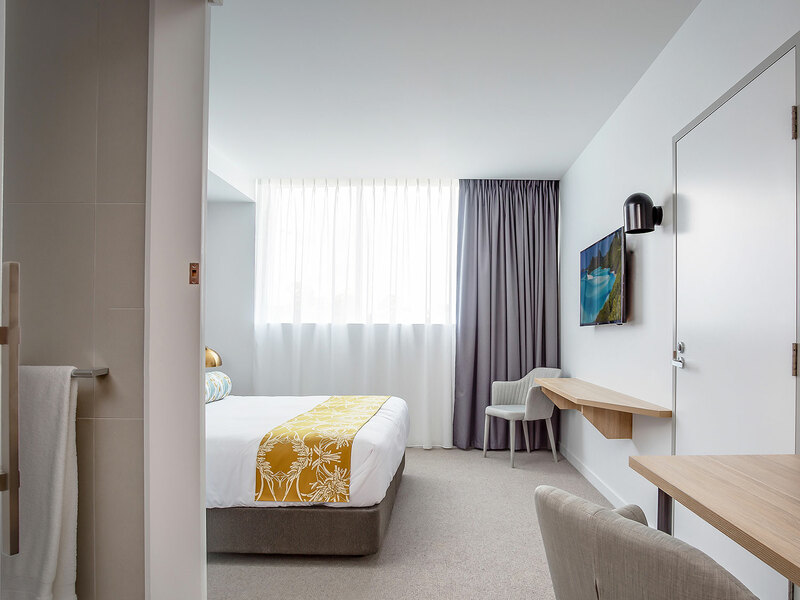 Mantra at Sharks is a brand new, 120 room Southport hotel that kicks goals for families and high fliers alike. 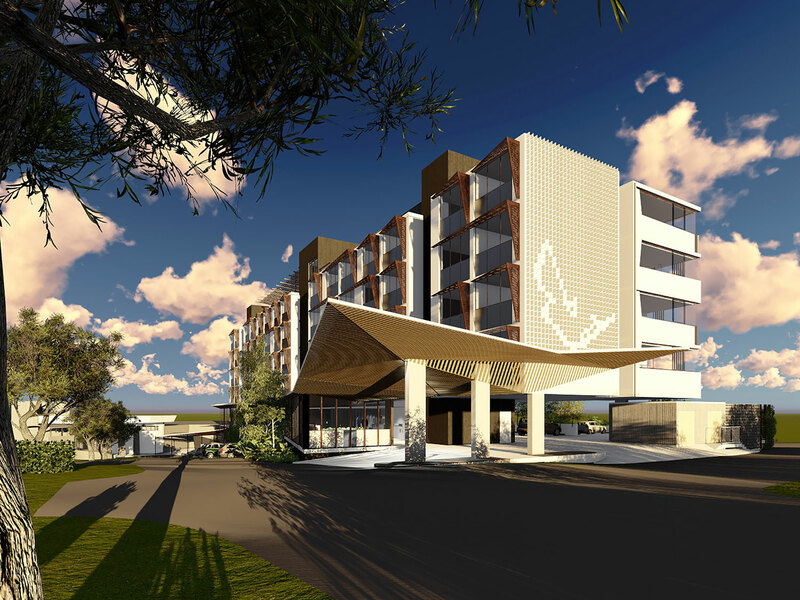 A covered walkway (or literally 30 seconds walk) from one of Queensland’s largest licensed clubs offering a premier dining and entertainment district with a multi-purpose events centre, two restaurants, café, five bars and 24/7 fitness centre. 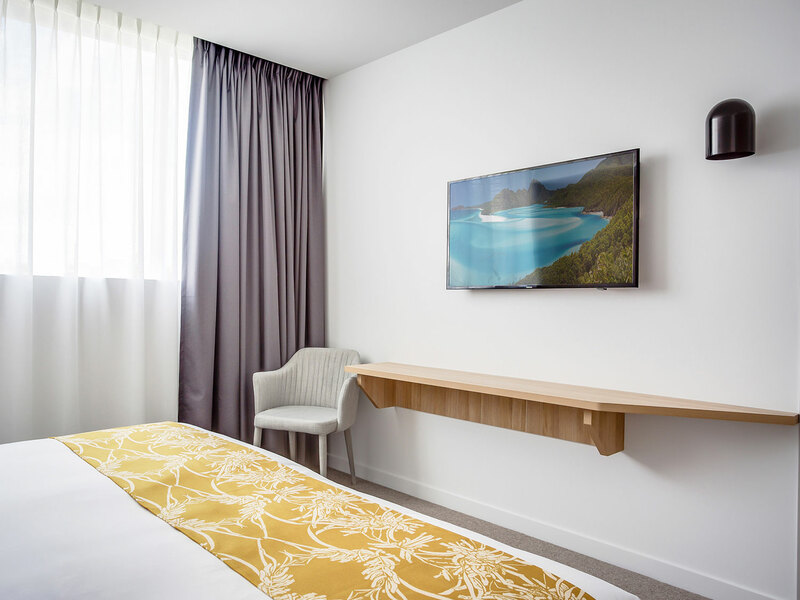 All this plus a kid’s playground, free parking and 24 hour reception makes Mantra at Sharks a whole lot more than what you bargained for. 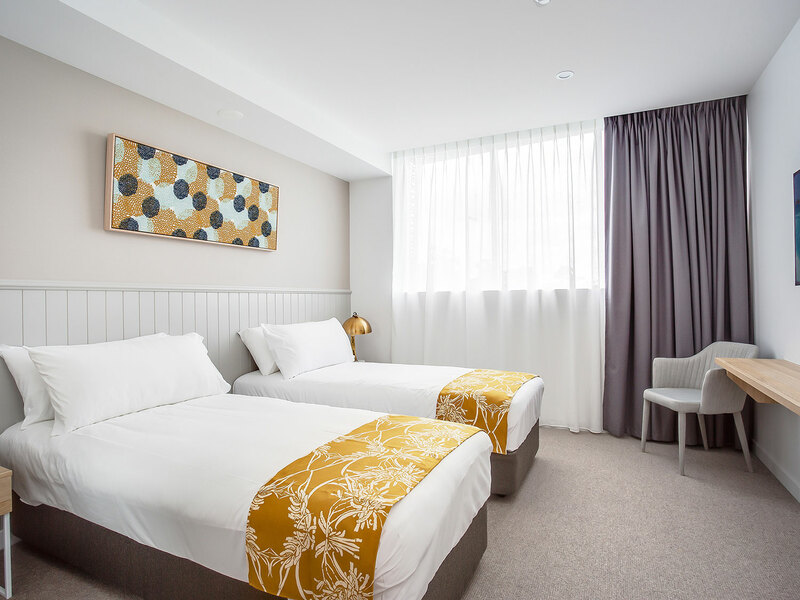 Only a short walk from Griffith University, Gold Coast University Hospital and beautiful Broadwater, its superb facilities and renowned Mantra hospitality makes Southport Gold Coast a destination to rival its better known neighbour, Surfers Paradise. 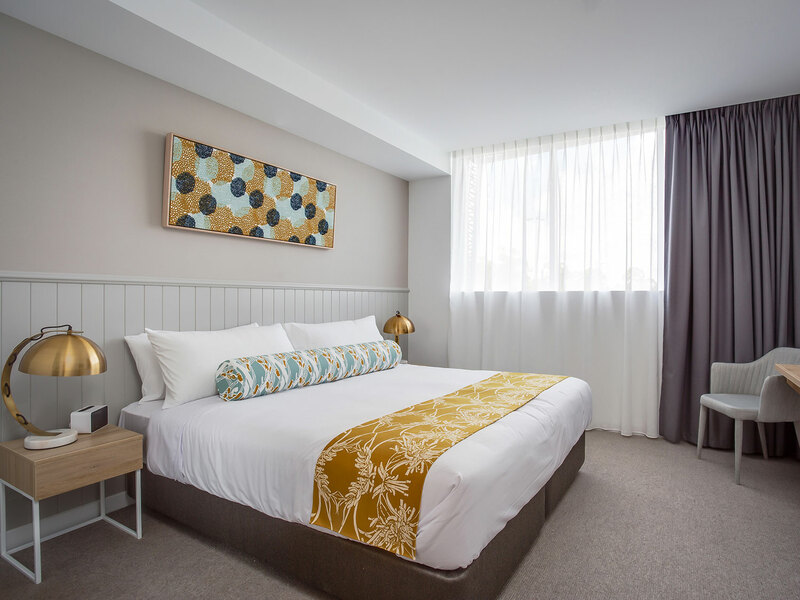 All rooms have contemporary fixtures and fittings, stylish, modern décor and state-of-the-art appliances, including 43” LCD TVs on which you can enjoy FOXTEL and movies on demand. 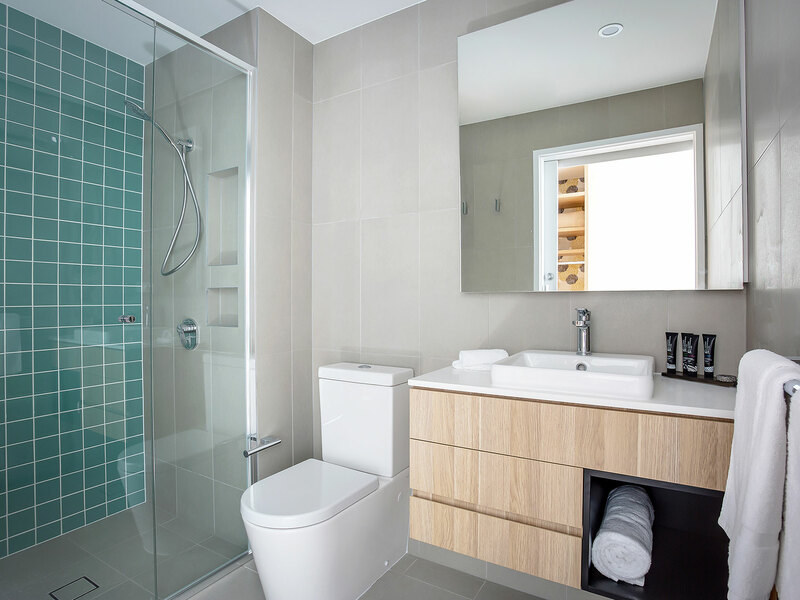 Free WiFi is also available in every room, as well as complimentary tea and coffee making facilities.Several Mantra at Sharks rooms are specially designed for disabled guests, with accessible showers and low mirrors.